Often seen in churchyards but having a much narrower habit of growth than English, Taxus Baccata Fastigiata is a useful low maintenance architectural plant. Beautiful bushy plants grown in our fields for several years, they are lifted in season (October-Early May) with the immediate root ball which is wrapped in hessian for protection. Strong plants giving instant impact at moderate cost. 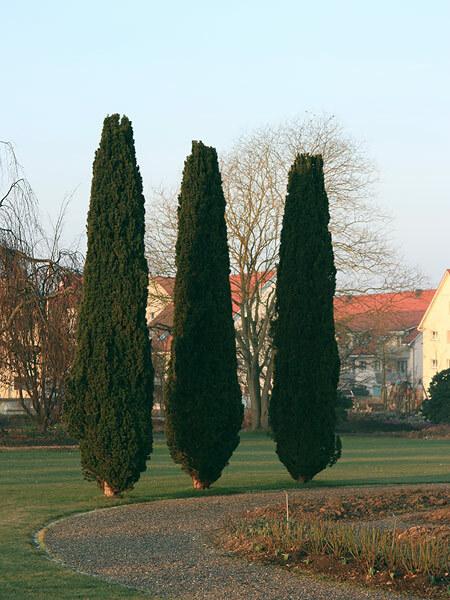 Irish Yew hedging plants – The Irish Yew (Taxus Baccata ‘Fastigiata’) is an evergreen shrub that is often found in churchyards, up and down the country. They typically grow up right in a column shape, which can make for a statement piece. 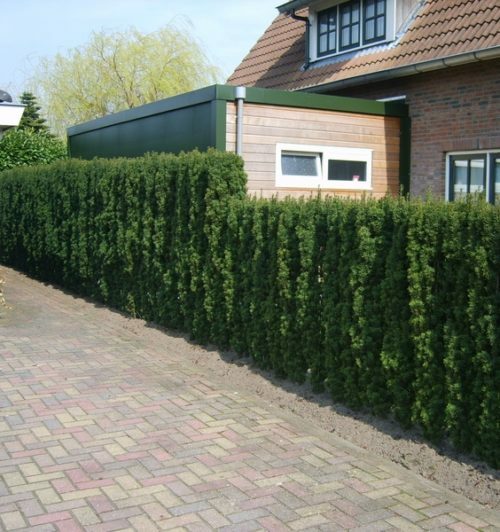 Or, when planted alongside other Irish Yew’s, can be cultivated slowly into a fantastic, tight knitted hedge, which is great when used as a privacy hedge and to help prevent intruders. They make for great homes for nesting birds and wildlife too. It is a primitive form of a conifer, but produces fruits rather than cones like traditional conifers. It was supposedly grown in churchyards over the graves of the plague victims, to help purify and protect them. Irish Yew hedging plants can grow in either full sunlight, partial shade or full shade and in either a sheltered or exposed spot in your garden. So long as the soil it is planted in is well draining, it can thrive in all soils, including difficult chalk. The beauty of this hedge is that there is no particular preferred time to prune it, and you don’t necessarily have to. You can of course trim and shape it into whatever shape you desire. It is an extremely hardy plant that can tolerate a lot, and makes for the perfect ornamental visual in your manicured garden. Why not take a look at the range of Irish Yew hedging plants we have available in pots? For more information on this plant, contact our specialist team members for more information.